I tried to include as much music from San Francisco (and about San Francisco) as possible. Thanks to Ben Chasney and Devendra Banhart, there's actually a formidable scene happening there. This is not a typical track from the Six Organs, who normally play drony, raga-like psychedelic folk music. 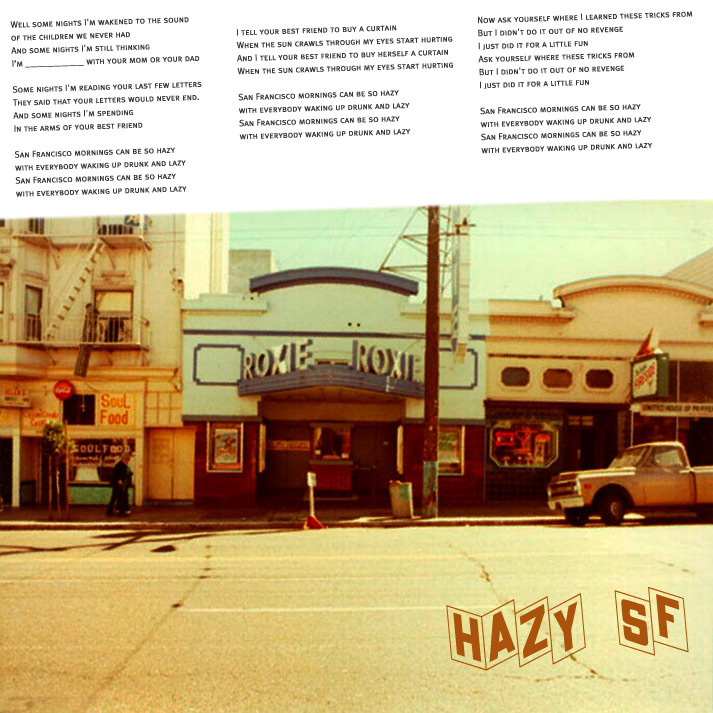 Hazy SF captures some SF ambience (even if the chorus is silly).